Yesterday was fairly relaxed. 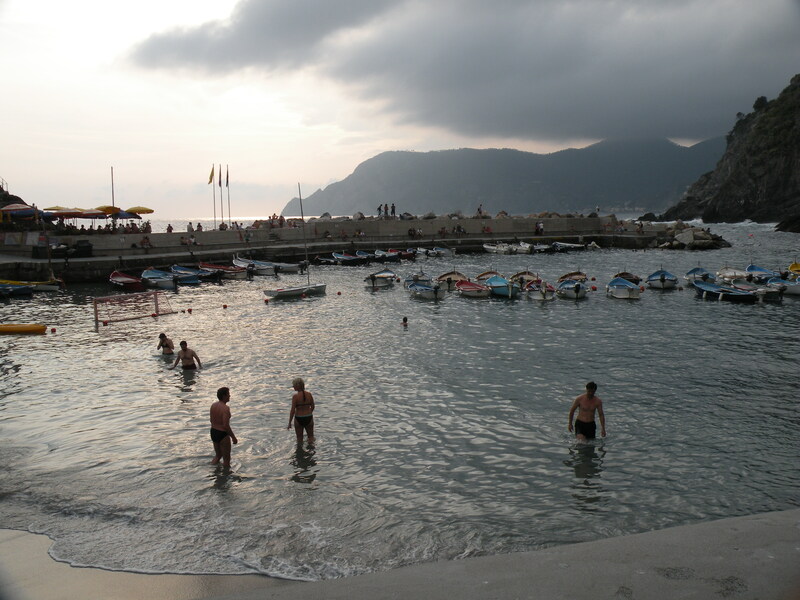 I took the train to Vernazza to look for the internet, which I found at a steep price of three euros per 30 minutes, oh well. 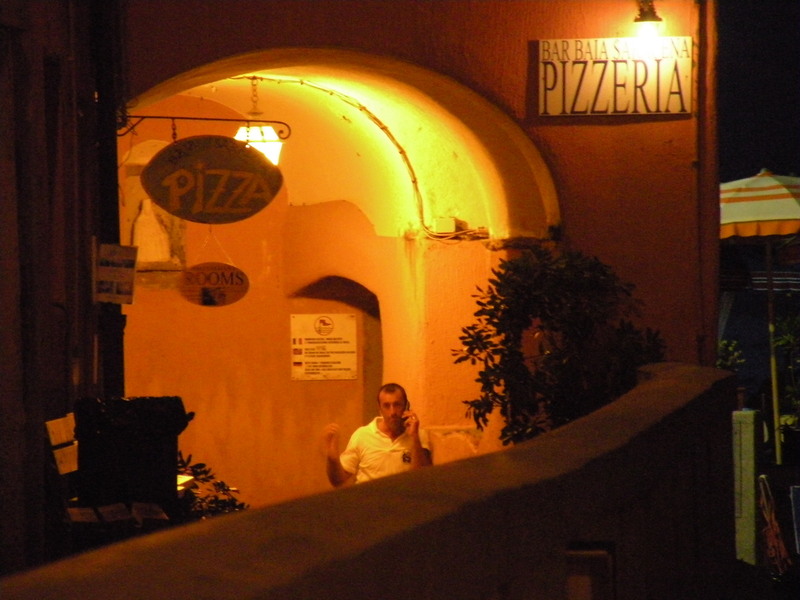 After purchasing a couple of hours worth and realizing there’s a good signal outside on the main street, I sat down at a little pizzeria with outdoor seating and ordered a drink and a pizza. I pulled out the computer and started uploading. I felt a little guilty taking up a whole table that seated five and so when I noticed a couple looking at the menu and also noticed there were no other tables available, I spoke up and told them the pizza is good here and motioned for them to sit down at my table, which they did. I looked over at the proprietor and he gave me a wink of approval. Angie & Richard are from South Australia and we had a nice chat while I was uploading and while we all ate. I wished them well as they left and since I was parked in a great spot that I didn’t want to leave (it was kind of like a park), I ordered another drink and motioned for another couple to sit down. Before long a mother and her daughter joined us as well and we were a full table. It was nice. Then it got very dark and started thundering, oh boy, is it really going to rain here? Well it did start raining and the street emptied pretty fast. Then within five minutes, the street was full again with people with their umbrellas; where did all the umbrellas come from? I wasn’t sure if this town had ever seen rain let alone an umbrella. The rain lasted a good half hour and we were mostly dry under our awning at the pizzeria. As long as I ordered a drink now and then and invited people to sit down, they didn’t seem to mind me staying so long. 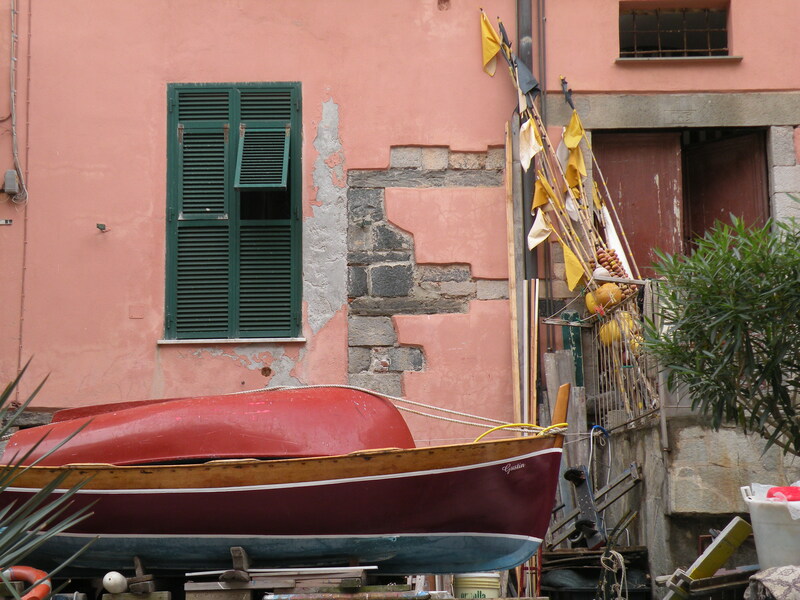 Eventually I got up and walked around Vernazza, I like it, I could stay here. 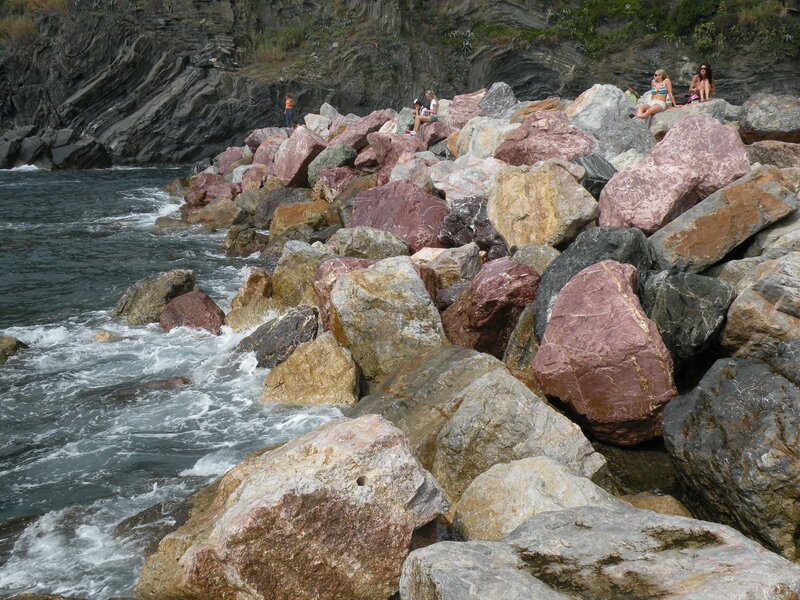 It has a nice waterfront with a small sandy beach and lots of big rocks covered with people bathing and resting in the sun like sea lions. Very picturesque. 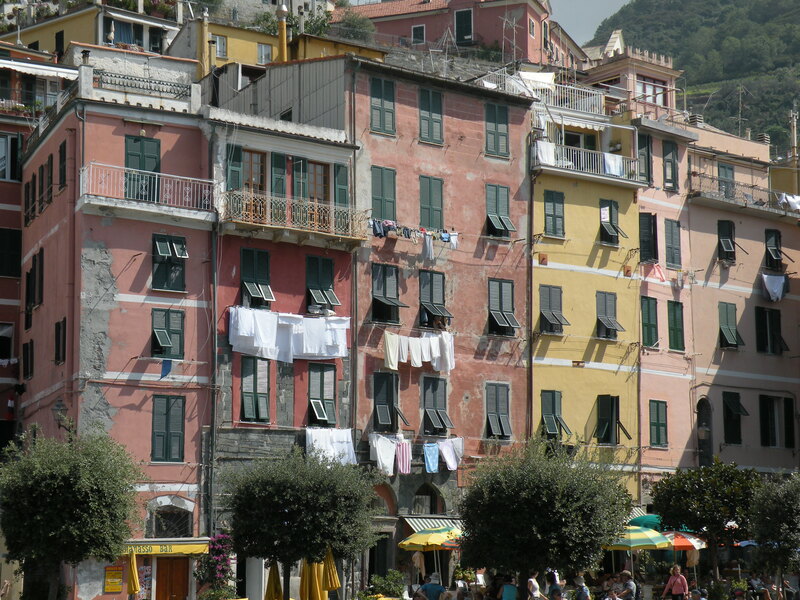 And of course the buildings are colorful with the laundry hanging out to dry and the awesome smells of the sea and food cooking fill the air. Eh… same ole, same ole. I headed back to the train station, not even bothering to check the schedule because they’re usually late anyway and I just really didn’t care when it came. I plopped down on the same seat as yesterday after the hike so I knew it to be comfortable, and when lots of people started showing up, I figured the train was coming soon, which was confirmed by that familiar strong breeze from the tunnel. I lazily made my way over to the platform since I’m practically a resident of the area by now and I know what I’m doing and I must also look like I know what I’m doing. 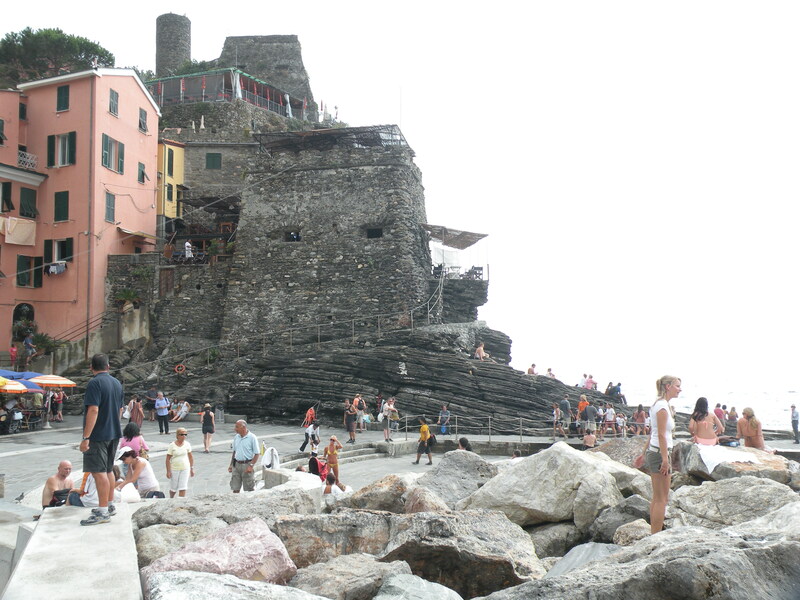 After returning to Manarola… Oh I don’t know.. I forget what I did. I’m sure it was nothing of any consequence though. I had dinner at a place up the road, or maybe it was down the road; I don’t even remember what I had. That’s so neat. I do remember sitting down at the waterfront to watch the sun set and then calling some folks back home to tell them I just watched the sun set. I watched a little news and started to contemplate where I was going to stay the next couple of nights. 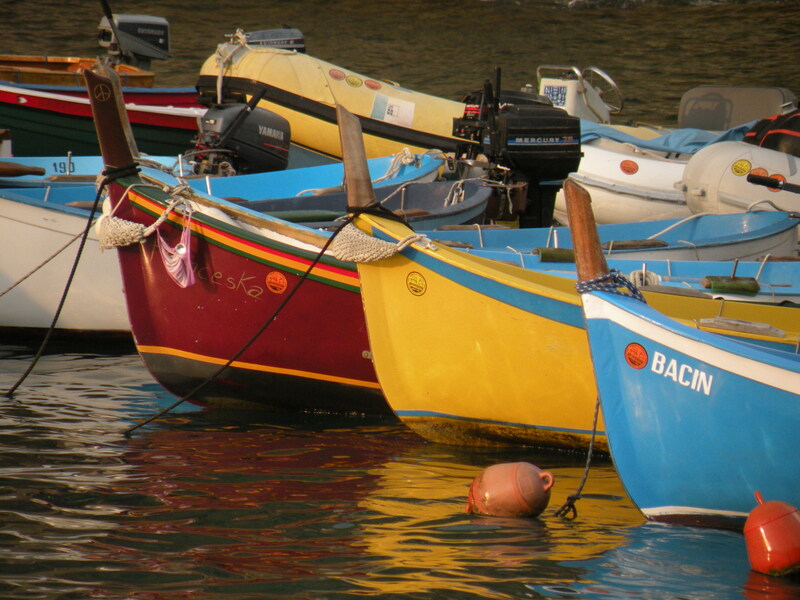 I managed to get one more night out of the Hotel Marina Piccola, but I had to leave in the morning as they were booked. 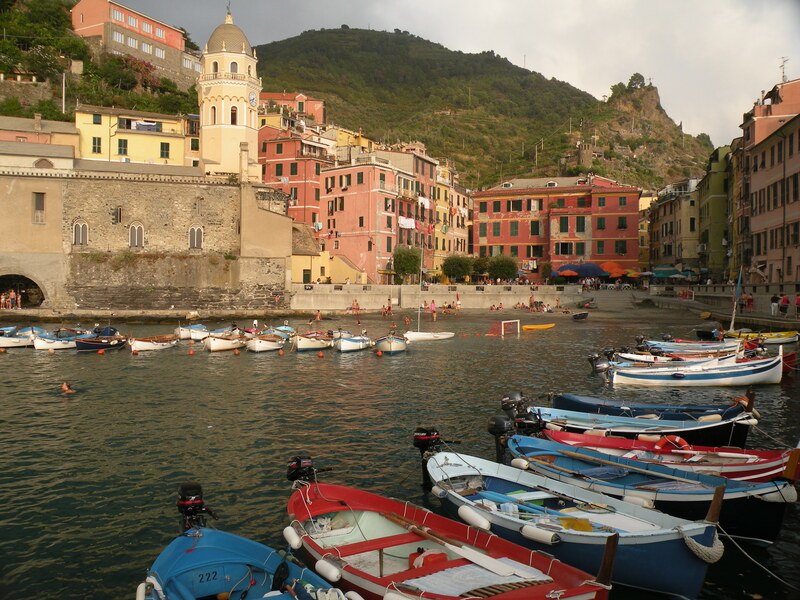 I wanted to stay longer in the CT so, I figured why not Vernazza? Eh…. I’ll wait till morning. 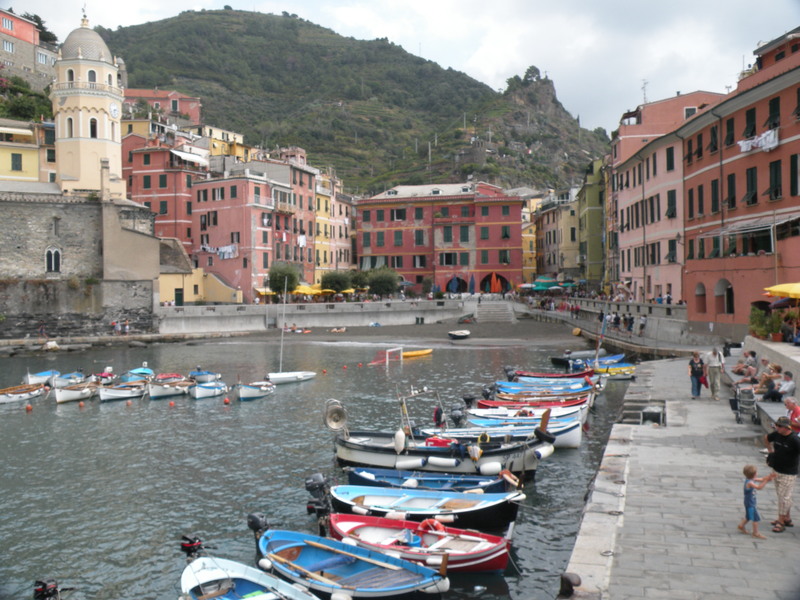 Next morning – Slept in, had a hasty breakfast and packed whilst trying to secure a room in Vernazza. 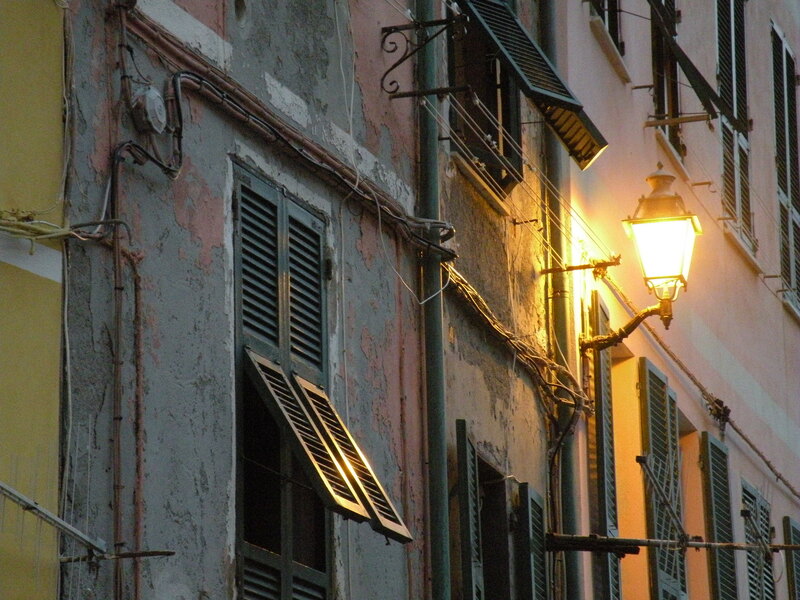 I really like the idea of an air conditioner but in Vernazza those are few and far between. One place I tried was fully booked but the English speaking Michele went out of her way to secure me a room at another location run by her friend Antonio. I told her what I wanted and she called Antonio and I was to call her back in 15 minutes, which I did. 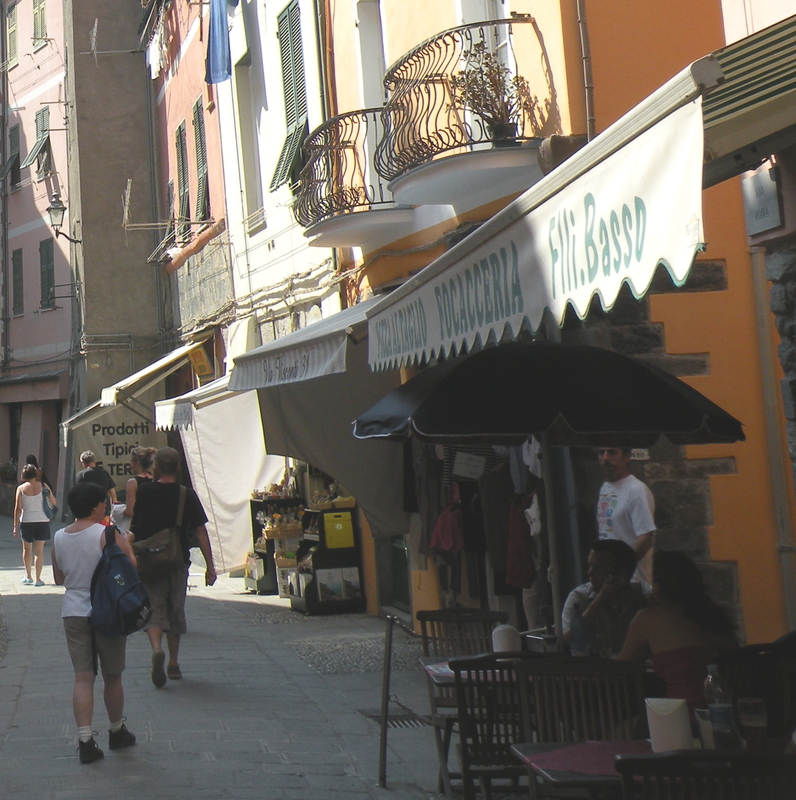 Good thing too, because Antonio does not speak one word of English but Michele told me to go to the pharmacy on the main street, turn right and look for the plaque that says “Antonio Rooms” and ring the bell, and if he did not answer just look for him on the street. Huh? She said I won’t be able to miss him, he’s a large man and always wears white shorts and a white tee shirt. Yeah, seems kind of squirrelly to me, but… OK. 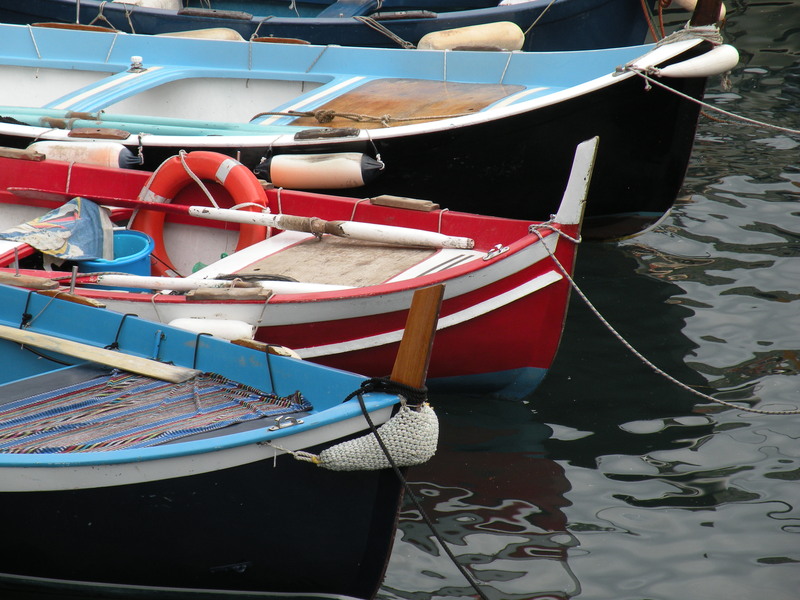 I checked out of the Marina Piccola right on time and settled my bill. It was really a nice place to stay. I walked to the train station but the next train would not arrive for almost an hour, so I walked back to town, started up the hill and caught the green shuttle bus to the top where I parked my car. 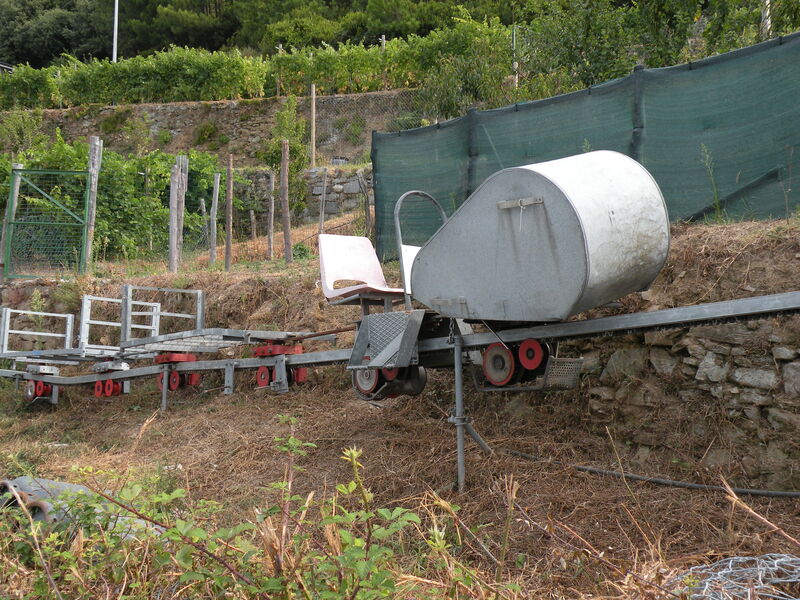 I drove to Vernazza and then down the hill as far as I could go, parked and caught another green shuttle into town. I walked to the pharmacy, which was right across the street from the pizzeria I ate at yesterday, turned right and there was the sign. It pointed up between a couple of buildings, the kind of place you wouldn’t dare go in a city back home, but this was the CT, so up I went and found the door and I rang the buzzer and no answer. I saw something approaching out of the corner of my eye and I turned and there was a very large man in white shorts and tee shirt with a big smile, a big teddy bear really. 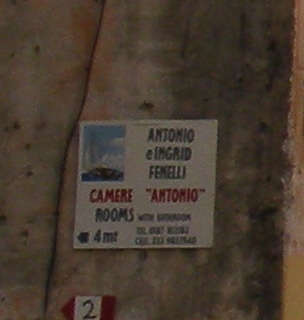 “Antonio?” I said, and he nodded. I introduced myself and shook his hand, he was expecting me. 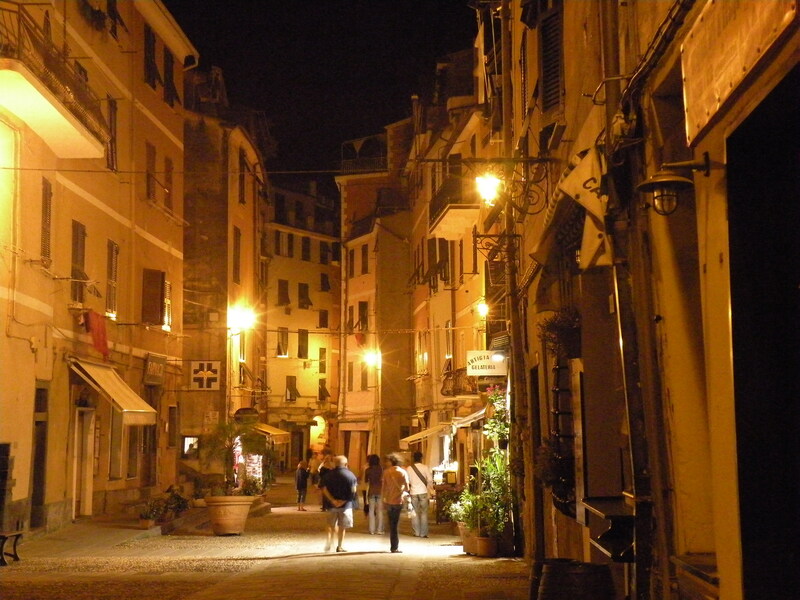 He led me to my room which was up a few very steep and narrow stairs and the room was more than adequate. I checked out the AC and was happy. After I confirmed the price and that I wanted the room for due notti, Antonio gave me a key and as quickly as we met, he smiled and left me to myself. I settled in and unpacked a little and then went for a walk through town and decided to have some lunch so I stopped at an outdoor place on the waterfront and was seated at a table very close to another table with a couple that was already eating. We could have essentially been eating at the same table. They were from Toronto and were in the middle of their three-week trip and are staying in Santa Marguerita. I’m not sure where that is but they just raved about it. They also told me about the two water spouts they saw about a kilometer out to sea during that thunder storm yesterday and another that was pretty close to their hotel that hit a yacht and some outdoor cafes and redistributed the tables and chairs and umbrellas to the hills I think. Wow, I had no idea that storm was that fierce. They eventually went on their way and their replacements were two elderly ladies (70s) from England. They struck up a conversation with me and I had a wonderful time talking with Ruth and Jennifer. They are on an organized tour but are currently on the free time part of the day. They’re only traveling for five days. Really neat ladies. 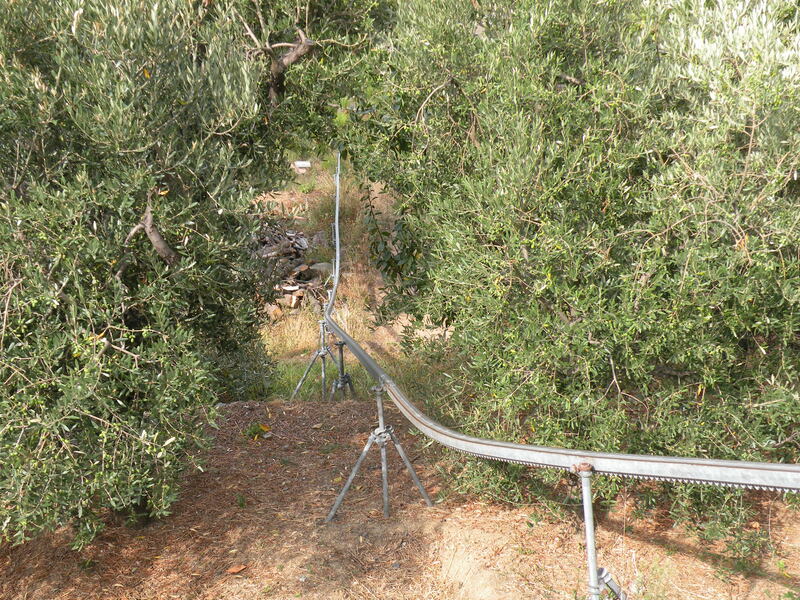 They asked me all about my travels and seemed to be so impressed that I was traveling alone. They asked a question which caused me to look at the date on my watch and suddenly I reacted and jerked in my chair, which kind of startled Jennifer and they asked what was wrong. “Nothing” I said, “I just realized it’s my birthday”. They wished me happy birthday and treated me to a glass of wine. 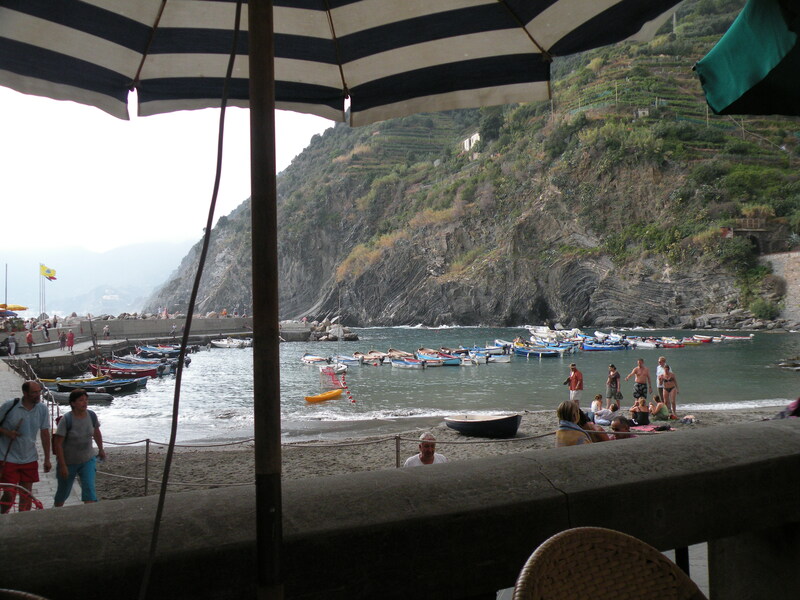 I just couldn’t think of a better way to spend my birthday than by sitting at this cafe in Vernazza on the waterfront, in a fantastic breeze, having a glass of wine and talking with Ruth and Jennifer. I left and moseyed back to my room for an afternoon nap and got up around 4:00 and went walking and picture taking again. As I was walking around I spotted Antonio sitting at a cafe in the distance and he noticed me and flashed a big smile and a wave. He really is hard to miss. Around 6:00 I picked a place for dinner near the water and started the whole thing all over again… this multi course three to four hour event they call dinner. It’s kind of hard work, but somebody has to do it I reckon. Next to me were Diane and her college age daughter Emma who were traveling together for a couple weeks; they’re from Seattle, so they knew all about Rick and we talked about home a little and compared our travel notes and stories. By the time I paid the bill and got up, it was almost 10:00. 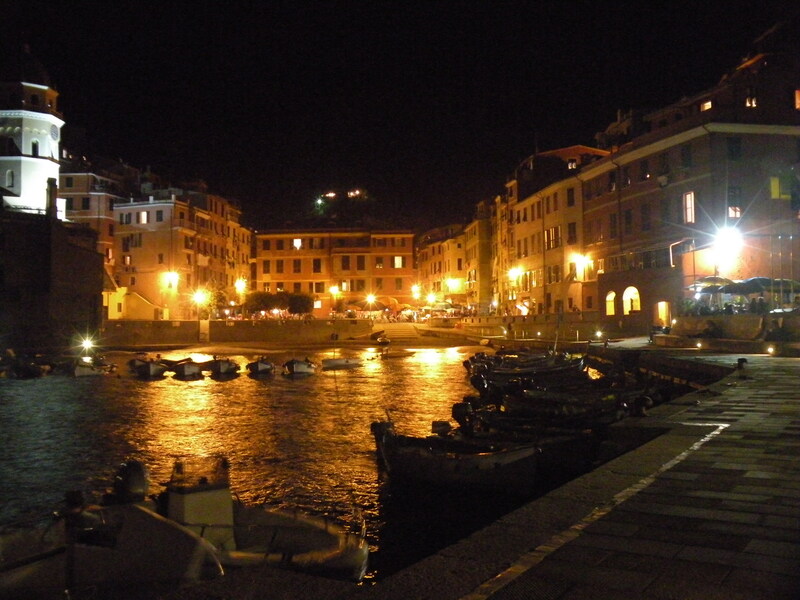 I walked around for a bit, sat on the sea wall for a while and listened to the water and watched the town in its orange glow from the lights on the buildings. 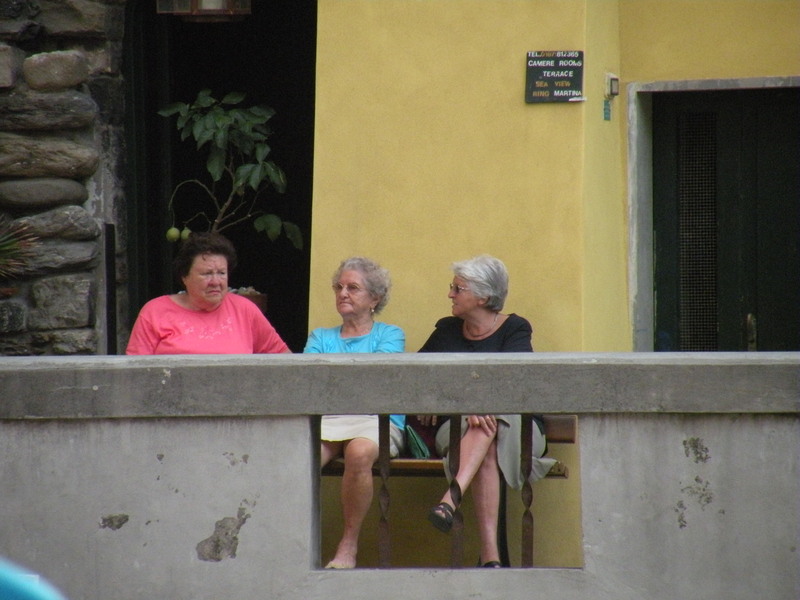 I like to sit and watch the locals watch the tourists, especially the woman locals. As tourists pass by they try to figure out where they’re from and I think they’re also judging them somehow on other criteria. You can see them eyeball people from top to bottom as they pass and I half expect them to flip up a placard with a score on it. 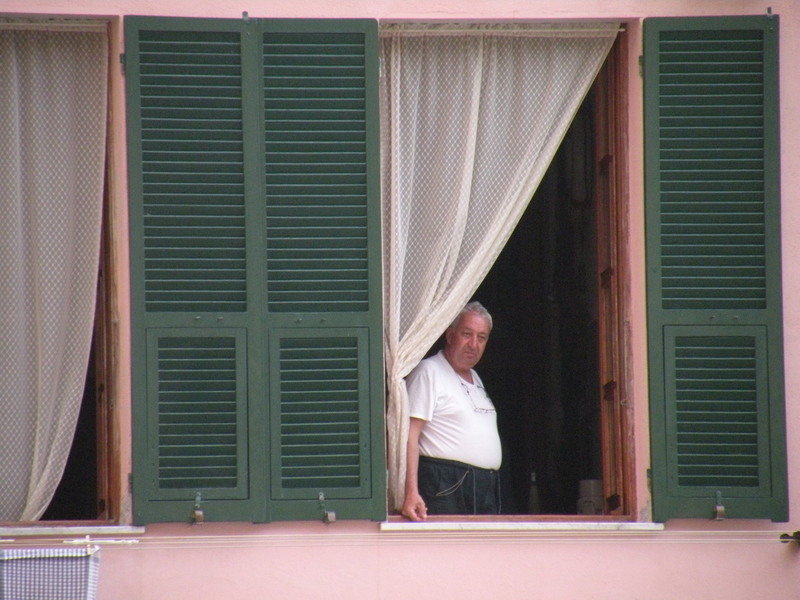 When loud or obnoxious people pass by, you can see them look at each other and roll their eyes. It’s funny. They’re also probably wondering why all these people want to come to this place, but I think they generally welcome it and the money of course. ← Don’t these people know what I just did?